Today Lok Sabha election results were declared and NDA with 300+ seats are the clear winners and will be forming the government. There is no Modi wave was what you heard from many non NDA party leaders. I agree with them because wave is an understatement. It really is a tsunami. From 2 Lok Sabha seats in 1984 to 272+ in 2014, BJP has made great progress. Modi did play a big role and even the biggest Modi rival will have to acknowledge that. BJP should be given full credit for using latest technology and social media to their full advantage. I think other political parties need to learn the tricks from them. This is one reason I feel that Modi is the right person to be PM. He is so comfortable with use of technology and derived maximum benefit from it this election. For Congress it cannot get worse than this. They bagged less than 50 seats and that is too low for a national party. I am sure that dynasty politics combined with corruption made them suffer the worst ever defeat this election. They need to understand that the legacy of Jawaharlal Nehru, Indira Gandhi and Rajiv Gandhi won't help them for long. Rahul Gandhi just doesn't have it in him to lead the party or the nation. The slogan Ab ki baar Modi Sarkaar was everywhere. I think this one line played a major role in creating awareness about Modi. Another point that worked in his favor was that he was declared PM candidate right from the onset. Congress on the other hand did not have the courage to announce Rahul Gandhi as their PM candidate. Once the euphoria settles down both Modi and BJP have lot of work to do. The next 5 years will play a major role in defining the future of BJP. They have to perform really well if they wish to repeat this feat in future. 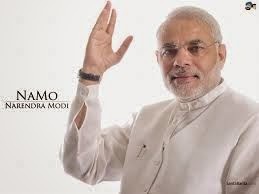 I have high hopes from Modi as PM. Let us see whether he delivers or not.